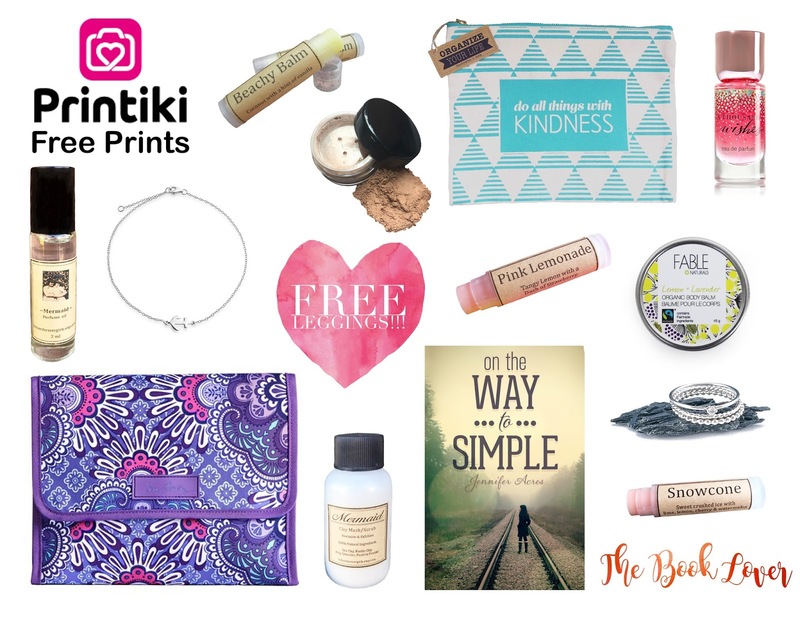 Birthday Bash Giveaway + Coupon Codes*! As some of you may know, April is a HUGE month for me! In just this month, I have two anniversaries and a birthday! On April 20, 2012, the boy I went to prom with got down on one knee and asked me to be his girlfriend. Then on April 17, 2015, I married that same boy, my high school sweetheart. And of course, April 23rd is my birthday and this year, I turned 22! Now I don't know about you, but I've never really been too materialistic. As I've grown up, I've realized what's truly important in my life and that just isn't gifts for me. Just as my love language suggests, I'd much rather receive acts of service than gifts any time. So besides asking for books and money (you know, the necessities!) from the people that feel obligated to get me something, I'd rather spend my time focusing on giving back to others. So, what better way is there to celebrate my favorite month and my 22nd birthday, than to throw a spectacularly large giveaway for all of my awesome readers? Couldn't think of anything better? Me neither! And of course, we can't forget about all of the awesome prizes donated by some of our favorite sponsors either! Check out what they've contributed below! Don't forget to make sure and check out each of the following sponsors as well! Without them, this giveaway wouldn't be nearly as amazing! So head to their websites, maybe do a little shopping, and follow them on social media too! 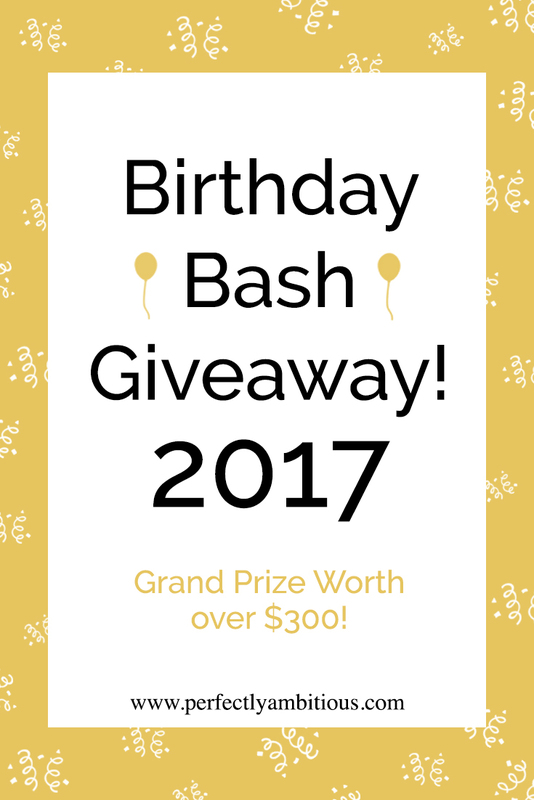 In total, the Birthday Bash prize package is worth over $300! And one of you lucky readers will be going home with the entire thing! All you have to do is enter the giveaway for your chance to win! Free shipping for U.S. residents only. Any winner out of the country will have to pay for shipping + custom charges as well as any applicable duty fees. This giveaway starts on 4/28/2017 and ends on 5/5/2017. The winner will be randomly drawn and announced on 5/6/2017. Please note that there is only one mandatory entry and a variety of ways to earn extra entries. You can also come back to enter every single day! Use the code "Urban10" for 10% off your purchase with Urbanfarmergirls! Use the code "ThankYou20" for 20% off your purchase with The Rustic Boheme! Use the code "BirthdayBash2" for $2 off your purchase with the Perfectly Ambitious Shop! Minimum purchase of $3.00 total (expires at 12:00PM CDT on 05/31/2017). 15% off your first purchase with The Littlest Book Shop, no code required! Free U.S. shipping on all Charmed by Simplicity orders, no code required! What are you most excited to win from this giveaway? Tell me in the comments below! And if you're feeling friendly, make sure to share this giveaway too! Join the Perfectly Ambitious Newsletter! Sign up for our latest content, products, and coupon codes! Thank you for posting this giveaway! I love the items listed and have enjoyed looking at your site. I wish you the best with your shop and your novel! I hope you had a wonderful birthday and anniversary. I'm very impressed with your giving spirit at 22 years of age. Thanks so much for this opportunity. Happy birthday! I think it's so cute your sweetie "proposed" to be your boyfriend, haha. Thank you for the wonderful giveaway! Hope the birthday is amazing! Not entering (I'm late to this party) but I did want to send you loads of happy birthday wishes! Living, creating, & encouraging others to be perfectly ambitious.